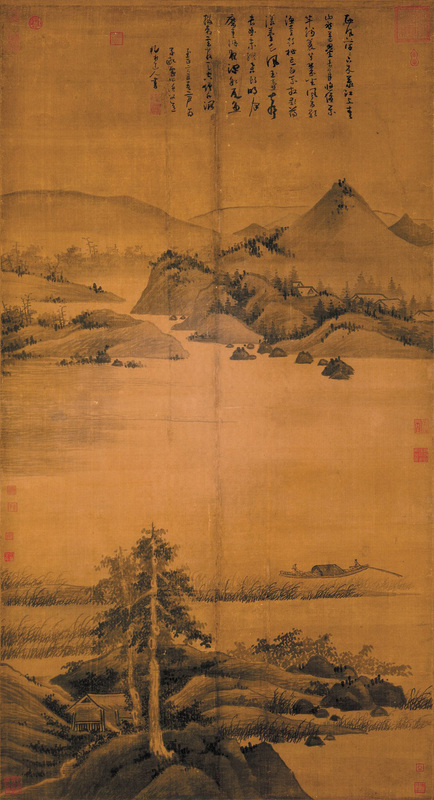 Wu Zhen (吳鎮, 1280–1354) was a painter during the Yuan dynasty. 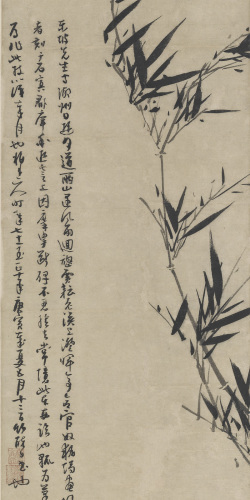 His courtesy name is Zhonggui (仲圭) and pseudonym Meihua Daoren (梅花道人, Daoist of the plum blossom). 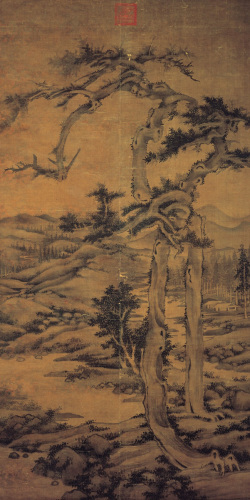 Wu Zhen is regarded as one of the Four Masters of the Yuan (元四家), along with Huang Gongwang (黃公望, 1269–1354), Ni Zan (倪瓚, 1301–1374), and Wang Meng (王蒙, 1308–1385). 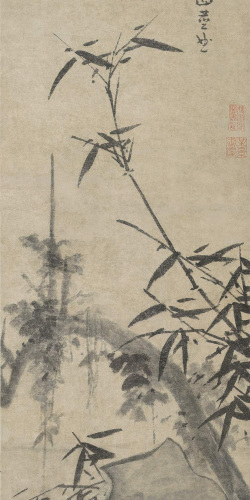 Like others of the group, he sought stylistic inspiration in the past, especially from Five Dynasties masters such as Dong Yuan (董源) and Juran (巨然), but his paintings are not overwhelmingly determined by that desire. Rather, they are a combination of the new attitudes of the Yuan period with sometimes conservative tendencies traceable to the Southern Song dynasty (1127–1279). 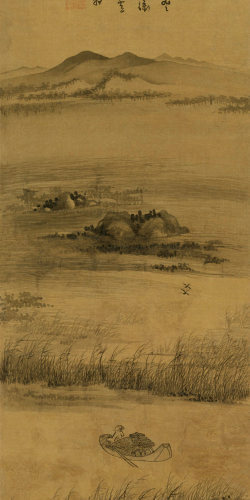 Wu Zhen is generally associated with landscapes, especially scenes of fishermen. The mountains he painted often have rounded tops. 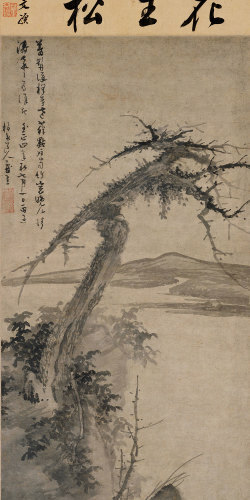 In some of his landscapes, the lines are all smooth, curved and flowing. This is a reinterpretation of traditional landscape paintings as it brings abstract style and brushwork to landscape.